Developed by Ballymore & Oxley, Royal Wharf the scheme will see the creation of 3,385 homes for approximately 10,000 residents. The first residents moved into their new homes in early 2017. The London Festival of Architecture is an annual event running throughout June. It brings together designers, architects and curators to share ideas on architecture and its impact on the capital. The theme of this year’s festival was ‘Identity’. 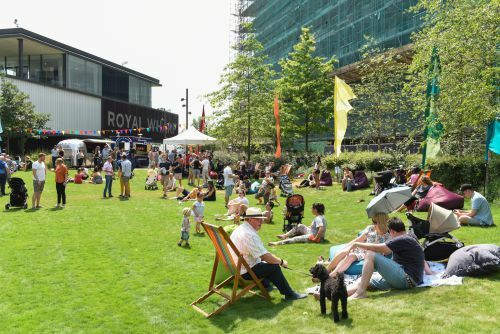 The Unity Arts Festival in September 2018 was a weekend of exhibitions, installations and workshops celebrating the creativity and energy of east London’s most exciting new neighbourhood.